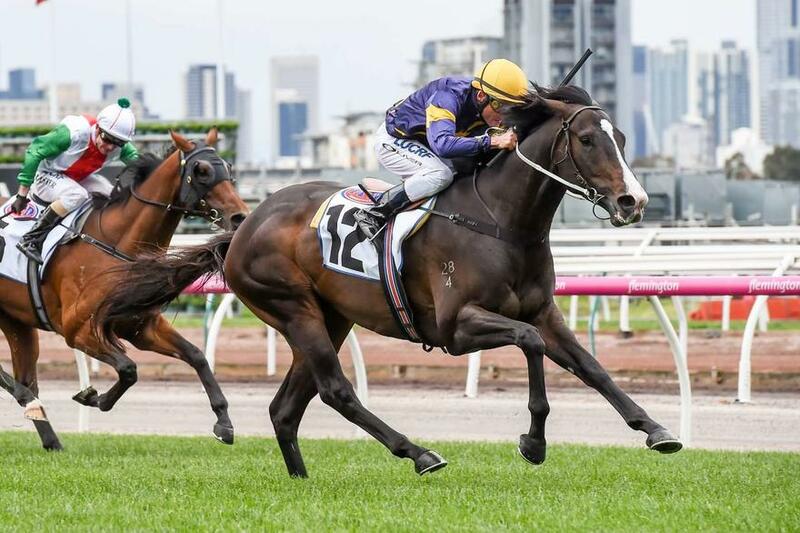 Punters learnt not to write off a good horse and back to Flemington was the recipe for Mick Price Racing's GRUNT (pictured) who took out Saturday's Group 1 Makybe Diva Stakes. It was the first of a sweep of features from HQ, with Shane Nichols Racing putting the polish on gallant mare I AM A STAR to take out the Let's Elope Stakes while at eight years of age DOTHRAKI and Snowden Racing showed them how it was done in the Bobbie Lewis Quality. Dual state success for Kris Lees Racing on Saturday when SMART MELODY brought his best form to Flemington to stay unbeaten while MISS FABULASS is continuing to live up to her breeding Frankel x Samantha Miss with a win in the Tea Rose. A great job at Randwick also by Matthew Dale winning the Highway Handicap with the promising SEI STELLA. In Perth Lindsey Smith Racing Stables had a day out with a double thanks to GREAT AGAIN and MANTIME both getting the job done for favourite backers. He was joined by Morton Racing in the winners circle with MAN BOOKER bolting in in stakes company while Gangemi Racing teamed up with Jarrod Noske to score with LOCKROY. Parnham Racing Stables prepared DARK PROSPECT to his fourth career win also. Well done Morrisey Racing and Michael Cahill who had a blow out result when NOTHING BOX returned to form at odds of $31 at Doomben. Edmonds Racing made up for finishing second in that race 40 minutes later when MADAM SHAZAM saluted making it four straight wins. Morphettville races saw Mick Price Racing on the board after HEPTAGON saluted while Wayne Francis & Glen Kent had the very impressive French Rock take out the final race. Green pastures all the way for double winner Mike De Kock with PENNY FROM HEAVEN and PIETRO MASCAGNI. Sean Tarry scored a win with DESERT RHYTHM, Brett Crawford with COHIBA ALLDAY and also following suit was Glen Kotzen with a roaring win by EXPEDITE. On Sunday it was good to see Chris Crook & Imogen Miller prepare LIFE OF WALDO to get the win in Tasmania with Steph Thornton aboard. Well done to all our clients who found the winners circle last weekend.